Painful Eye Injections - Betadine the Cause? I have had 18 injections to treat wet macular degeneration. The nurse told me it's betadine solution that causes the pain in my eye. I hardly notice the injection, but the betadine antiseptic is painful for hours afterwards. My doctor uses betadine over the eyelid and around the eye. My eye is rinsed afterwards, but the damage is done. The solution seeps into my eye causing it to burn and weep for 16 hours or more. It drains into my sinuses and causes them to burn. A near migrain headache also results. I spend most the day in bed, trying to sleep through the pain. Is there another means to keeping the eye "clean" without this painful antiseptic? Do you know if this is standard practice? I have noted similar reactions in a few of my patients. I agree, it is the Betadine. While I will omit the Betadine from the prep in my patients, other doctors might be hesitant. Comments for Painful Eye Injections - Betadine the Cause? It Definitely is the Betadine! I just began my third year of injections of Lucentis for my Retinal Vein Occlusion. The first two years weren't bad. I think the thought of having a needle in the eye was worse than the actual experience! But then my doctor's practice began a new protocol requiring the use of betadine! Talk about PAIN! I had burns all around my eye and my eye watered non-stop and my vision was blurry for 5 days. It hurt like hell. I did snap a photo, which I showed my doctor so he'd know I wasn't exaggerating. Now he uses very little betadine and after the shot it is immediately wiped off of my face and my eye is thoroughly flushed. I still hurt for a day, but it's better than it was! I also had the words "betadine sensitivity" added to all my health and pharmacy records! Went back to original eye clinic and my mom had zero pain after minimal betadine with good flushing afterward:) Yay! Use of sponge before injection? I cannot tolerate the sponge so my Doctor gives me an injection before the Avastin injection. Does anyone else have this or do most get the sponge? I also have non stop runny eye and sinus blockage after injection. Wondering if Betadine is in that sponge? I asked my eye doctor to use minimal betadine before my injection 2 days ago. And then asked him to flush the eye out really well. NO PAIN following this injection. I couldn't believe it. My previous injection I was in so much pain for two days I was in tears. SO.......MINIMAL BETADINE BEFORE INJECTION AND FLUSHING THE EYE BALL AFTER IS THE REMEDY!!!! I am so glad I found this site. I am so thankful to have found this page. I have been getting eye injections for 18 months. Suddenly after removing scar tissue from the left eye, both eyes became swollen,itchy, tearing, etc. Put on Prednisone drops periodically for 6 months. Went to several specialists. The current one suggested it may be the betadine. I have been in the process of being weaned off the steriods. Had injection today, and both eyes were reactive to the betadine. I have been going to numerous specialists, (even complete allergy workup, which was negative) to finally get to the bottom of this problem. Praying changes can be made for eye prep before my next injection. First 3 injections resulted in painful, swollen and red eye and eye area .. Pure agony and I woke to crying, loud prayers for her eye to stop hurting at 3-4 am after the injection the previous afternoon. Eye surgeon looked at the photos I took of her eye and he only put one drop in from next visit on. Fast forward to new doctor closer to home, same clinic- different location. First injection was fine- no pain afterward. Today- Second visit to new doctor, extreme pain because he put a 1/2 dose of betadine in, saying it’s better than risking losing her sight to an eye infection. I’m so mad at myself for allowing him to 1/2 dose my poor 96 year old mom instead of giving one drop! I am grateful to have found this site. I was out of commission for 12 hours after my last injection. I am on my second doctor and the experiences are vastly different. I used to be able to go right back to work and now I have to have my husband drive me to and from the appointment and I go home into a dark room. I have been trying to figure out why the difference between doctors and now I realize it is the amount of betadine my current doctor uses plus the fact he won't rinse. I can't take it and am going to point this out. It is bad enough to have a needle stuck in your eye but to have your eye be a gritty, burning mess is unacceptable. Thank you everyone. After 16 months of monthly injections, with the after-effects getting ever-worse (stick in the eye feeling for 36 hours) I told them I was allergic to betadine, so the doc used an antibiotic drop. That worked great for two months;I felt just fine afterward. Today, the prep nurse stated the new protocol requires betadine. Recalling my 3am debate with myself about heading to the ER after the last betadine treatment. I declined. They insisted. I left. Now looking for an Arizona doc with a different approach. I have experienced the same issues with my injections over the past 3 yrs, (teary, sensitive, itchy eyes) and would normally hole up in a dark room with eye drops until yesterday's injection appointment. I was pleasantly surprised to find out that one of the 3 ophthalmologist I see did some research and found that a form of chlorhexidine is a less painful antiseptic than betadine. I was driving after my sister brought me back home, kudos Dr Nelson. Finally my doc stopped using the betadine. I'm not pleased it took him so long to give this up. I'm wondering if he was doing a "test" and I was in the "betadine group". It did help if they did a more thorough rinsing of my eye. I also wonder about costs: the betadine did have a purpose of disinfecting the eye & preventing infections. So is the alternative substance more costly? by: Fire in the eye! Since my post of June 2017, and a bit of online research, a couple of chats with my doctor, and a healthy dose of prayer, my doctor has agreed to use half strength Betadine, 2 drops right before injection, then copious amount of rinsing after. The tech also preps the eye very carefully avoiding the inner corner so Betadine does not leak under the lids and start the burn. This has worked well for my last injection with some post prep discomfort, but is a tremendous improvement over other prep experiences. I know this problem has weighed heavily on my doctor’s heart and mind...I am so thankful to have had a more tolerable experience! I also wear no makeup on my lids or lashes before the injection, and try to be sure my skin is well cleansed. I use Avenova Lid Cleanser that was previously prescribed for a different issue. 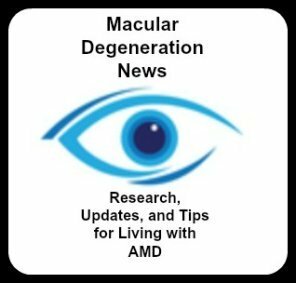 I am in my 8th year of eye injections for macular degeneration. I am sensitive to Betadine. I would have to use eye packs from Tues through Sat. because my eye, eyelids etc. were blistered. I have talked my doctor into one drop in the eye before the shot and that is all. Lots of rinsing and numbing drops follow. I am now doing fine. My doctor swore my eye would get infected but it has not. My life is now much better. I have had injections in both eyes for 3 years. I have severe pain in both eyes after the procedure. It feels as though someone has thrown sand in my eyes. I told my Dr. and tech about the pain, eyes watering non-stop and unable to sleep due to pain. He continues to use betadine wash which I know is the culprit! My sister told me her Dr. said there were two other antiseptics they could use! Wish my Dr. would try something else, my pain lasts 48 hrs. Find something else for us PLEASE!! After 18 months worth of Lucentis injections, this month my eye doctor and his practice decided (without informing me!) to change their injection protocol to Betadine drops in the eye both before and after the shot. Talk about pain! By the time I got home, I was in agony. I had red burn marks under my brow and eye, my lids swelled up and my eye watered nonstop for 12 hours and for 3 days my vision was blurry and my eye sensitive to light. I took a picture to show the doctor next month and I will insist that "betadine sensitivity" be listed in my records! I WILL NOT ALLOW MYSELF TO BE PUT THROUGH THIS EVER AGAIN! Twice now after injections for wet macular degeneration, I have ended up in emergency room due to severe pain. Doctor's nurse said artificial tears would correct the problem - nope, not a bit. I went to the hospital with an ice pack on my eye in an attempt to numb the pain. My eye doctor thinks I am a baby. Time for a new doctor. I, too, am having 12+ hours of extreme pain in and around my eye after betadine prep for Avastin injection. For those of us with this bonified sensitivity to betadine, what's the alternative for the prep? Of course, I understand the need for a good prep to prevent infection (that can lead to blindness)...no one wants that! Meanwhile, however, there should be something in this wonderful world of medicine to prep the eye properly and not burn and damage tissues at the same time...and repeatedly for ongoing treatment! Help! (Antibiotic drops prior to? Other options?) I am interested to hear what else could be used! I have had monthly injections for macular degeneration in both eyes for eleven years. The Betadine is becoming extremely painful because my eyes now bleed from every injection--truly awful when it bleeds into the vitreous. I think my eye tissue has weakened from so many injections. My doctor applies the betadine with a small cotton swab, one eye at a time, immediately before each injection. He gives the injection on that small spot. However, it seems that no amount of washing the eye will relieve the pain. Can not a less painful antibiotic be used? Or invented? There is a small fortune waiting this development. I had an eylea injection 3 days ago and the pain is finally beginning to subside, not to mention the sinus irritation caused by this injection. I have been getting injections for 2 years now and it seems the pain is getting so bad and I am thinking of stopping the injections. A day or two before the injection I actually start getting panic attacks because I know what is coming. The injections are painful and the aftermath is horrible, intense pain that last anywhere from 24 to 48 hours. I asked about rinsing the eye and my Doctor told me this does no good. Who am I to believe. I do not notice any difference, in fact, my vision was okay until I got the first injection and it has been downhill all the say since. No one at the doctor's office seems to have any sympathy. YES, it is the Betadine that causes the damage. I am now in treatment for wet macular degeneration in both eyes for FIVE years. My pain has been completely dependent on how small a dose of betadine I am given. My current doctor shows no sign of believing me when I tell him that I am allergic to betadyne. A different doctor got concerned after I ended up with stage two burns under by eyelids. This was accompanied by blisters and unbearable pain. He cut the dose to one small drop with immediate flushing with water afterwards until my eye did not burn. Now I am back with a previous doctor. Yesterday, I had a very young and inexperienced technician who kept pouring the betadine to my eye no matter what I said. Then there was a delay in the doctor coming in and by then my eye felt fried. I ended up in the emergency room with scorching red face around the eye and cheek area, bright red eyeball and eyelids, water pouring out of my eye and also out my nostril next to the affected eye. Pain was beyond description. I was amazed to see on my discharge papers that I must have had an abrasion on my eyeball for this to happen. What is so scary about making it official? BETADINE CAUSES PAINFUL BURNS to the face and eye lid and eye ball. Is there anyone out there in the medical field that will come to our rescue? I have had 3 injections so far and the first one, my eye was in unbearable discomfort. The key is to have the nurse flush your eye aggressively after the procedure. I found this to alleviate the pain rapidly. I am allergic. to betadine a and have been getting shots for macular degeneration for 2 years with pain from extreme to tolerable. Lots of water about half a bottle there is no pain. The injection was painless, however as soon as the numbness wore off it was the most horrible pain I have ever felt in my life! I returned to office next day and after the Dr examined my eye, said it was a reaction to the Betadine. It is now day 5 after the procedure and can say I finally feel better. I need to do the other eye, but am very hesitant to go through this again. I've had 5 injections, some were Lucentis, a couple were steroids. Of all of them, only one hurt and it was extremely painful. Again, as I noted in previous posts, it is not the injection that hurts, it's the anesthetic procedure. I never had any pain when I had the same tech doing the prep work. But when I had a new tech do it, that was when I was in severe pain for 3 days. My eye was swollen nearly shut and it was tearing uncontrollably. It made me reconsider ever having an injection done again. In my case it wasn't the Betadine (although that does sting a bit), it was the ineptitude of the technician. Honestly, she rubbed and rubbed on my eye with a swab like she was rubbing a magic lamp waiting for a genie to pop out! When I went back for the follow up I told my doctor because he was planning to do another injection. I was immediately relieved when he said I could request the technician I wanted. That is exactly what I'll do. If she's unavailable, I'll reschedule. Obviously, the "bad tech" thought if some is good, more is better. What she ended up doing, by pressing too hard, and continuing too long, was severely abrading my cornea. fIRST TWO INJECTIONS WERE TOLERABLE BUT THE 3RD WAS SOMEWHAT PAINFUL. I HAD THE 4TH 4 DAYS AGO AND THE PAIN WAS A 10. IT IS THE BETADINE IM SURE. i CALLED THE NURSE AND SHE SAID I SHOULD RINSE THE EYE AS MUCH AS POSSIBLE THEN USE ARTIFICAL TEARS EVERY HOUR. I will try this next time as the injections have been a god send for the wet macular. I've had my second Lucentis injection, and it was a breeze compared to the pain I felt after the first one! It is my understanding that the Betadine is the culprit. My physician took the time to really rinse and flush the eye before I left. I couldn't believe the difference it made in the scratching, burning and tearing I felt after the first injection. The injection didn't hurt....it was the antiseptic side-effects that was the problem. Flush, flush, flush post injection and Betadine. I have had a few injections of Avastin with one doctor and 3 injections of Lucentis with a different doctor due to a move. I had a bad reaction to one of the Avastin injections that lasted a couple days. With the last 2 Lucentis injections...the last one today....I have had a bad reaction. The doctor admits it is the betadine and they cut the amount in half today but I am sitting here with my eye closed to lessen the irritation. I am hoping it will be fine in the morning. My doctor sems to feel it is necessary to use the Betadine but I wish there was an alternative. As noted in one of the other comments, my sinuses are affected and my nostril on the side of the treated eye runs constantly and then gets stuffy. If this drug works and heals my eye, I guess it's worth it but so far I haven't seen enough effect, especially at the cost of the Lucentis. While the world of Retinal Surgeon's are doing quite nicely with this massive "Baby Boomer' eye disease; treatment I have found differs considerably from country to country and doctor to doctor. My first Lucentis injection was conducted in OKC USA. I had the drops in the eye, sat in the chair for what seemed to be half a day (more likely 45 minutes) the doctor walked in and WA-HAM! The last of the injection, or at least near to the end of the shocking un-blocked pain, I was standing not sitting ! I let him know I would not want my dog receiving that pain level. With only the one eye, I have been often thankful that there are not two eyes to puncture every 4-5 weeks. Sometimes it was very painful and felt like the doctor had used a needle twice the length of the last. I worked away at making sure I had the correct number of drops, made sure the first self administered drop of Cyclopentolate Hydrochloride went in exactly one hour before the injection etc. No matter how I behaved or prepared, each shot hurt more, if less it was only slightly less- there appeared no way of having a consistent acceptable pain level. I continued to let my Doctor know he was not consistent. To his credit he has made a vast improvement with the way he administers the Lucentis. He seems to now just prick the eye and I see far less chemical floating by. Now 54 shots later, I am having the treatment administered with the same and lower pain threshold each time. As I only have one eye, my Doctor conducts the injection in a day surgery theatre environment. Just as I have many people ask, how much does it hurt? I am able to say it is now a comfortable procedure. I can also confirm that others are experiencing the same reduction of pain with improved applications buy their Doctors. Of course the doctors are claiming, nothing has changed! This comment is just nonsense. I've had four injections in my left eye. The first was a kind of struggling torture. The physician said they overloaded me with sedative because it was the first. It felt exactly as you imagine a needle going into your eye. It was a scene from "Marathon Man," ocular version. The next three were beautifully painless. It was done in Germany in a clinic. We sat in a waiting room while the assistant put in drops at five minute intervals, at least four times before the injections. I think there must be ways to reduce the pain. I didn't ask for which substances were used. A friend complained to me about the disinfectant that was use on him. I don't remember having it, not in the last four injections. So much depends on the skill and the touch of the physician.